Located in Pasadena, California, NASA’s Jet Propulsion Laboratory is a unique national research facility that carries out robotic space and Earth science missions. 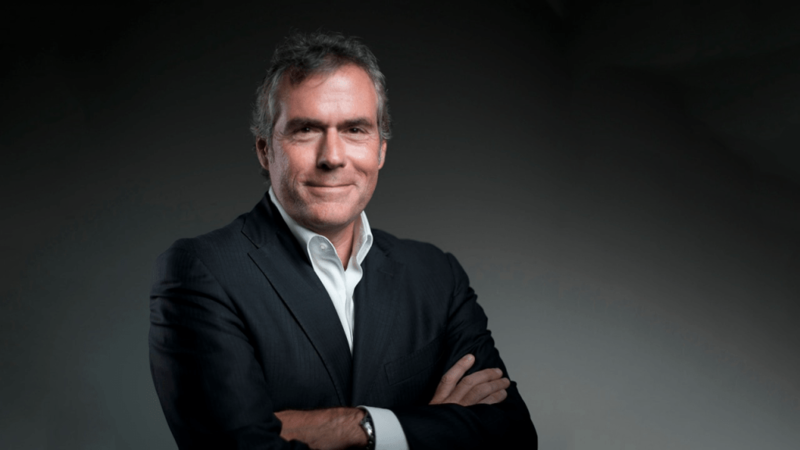 Michael M. Watkins became Director of the Jet Propulsion Laboratory (JPL) on July 1, 2016. In this role he also serves as a vice president of the California Institute of Technology, which staffs and manages JPL for NASA. Watkins, an engineer and scientist, previously was on the staff of JPL for 22 years. In 2015-16 he spent a year at the University of Texas at Austin, where he held the Clare Cockrell Williams Chair in Engineering and was director of the university’s Center for Space Research. In 2016, you left The University of Texas at Austin to become Director of the NASA Jet Propulsion Laboratory. What kind of work were you doing at UT, and how does your work at JPL compare to your expectations going into the job? At UT I was a professor in the Aerospace Engineering and Engineering Mechanics Department and also running a very strong research unit called The Center for Space Research. I got my Ph.D. in that same research program so it was an honor to come back and lead it. The JPL directorship offer (which I didn’t really anticipate) was just a once in a lifetime chance to lead one of the greatest research labs in the world. JPL is the world leader in robotic solar system exploration. It has been a fantastic experience so far. 2018 has been an exceptionally busy year with a number of spacecraft and instrument launches, including GRACE Follow-On. With regard to water, what was the GRACE mission? GRACE was the first mission (ever) that tried to track the movement of water by using the gravitational force of the mass of water as it moves around Earth. By water I mean water in any form – groundwater, ice, ocean, everything. 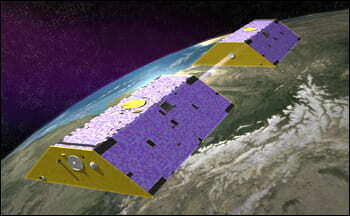 The GRACE mission detects changes in Earth’s gravity field by monitoring the changes in distance between the two satellites as they orbit Earth (Source: NASA). What is the GRACE Follow-On mission, and how does it differ from the original GRACE mission? GRACE was in some sense an experimental mission. After seeing the data, scientists realized the data were very valuable to them, and NASA agreed to fund a new mission to continue the data. We have made a few improvements that we hope will improve the data time and space resolution. What kind of information on water did GRACE provide us, and what will GRACE Follow-On produce? GRACE has especially given us new and incredibly valuable data on deep groundwater storage changes and about polar ice sheet mass changes. GRACE and G-FO tell water managers a lot about changes in aquifer storage and groundwater. This is almost impossible to measure with any other method in a consistent and systematic way. 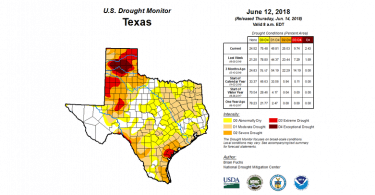 Are there other NASA missions that Texas water managers should know about? The Soil Moisture Active Passive (SMAP) mission also helps by providing surface soil moisture, and the Global Precipitation Measurement (GPM) mission helps with understanding precipitation and its effects. 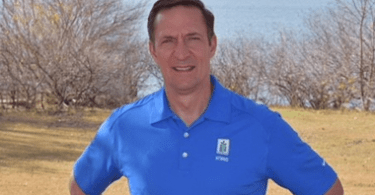 Many Texas water managers are heavily involved in these missions. How does NASA determine what missions are needed for the Earth science and the end users? In this case of GRACE and GRACE Follow-On did water resource managers have any role in crafting these missions? NASA primarily relies on a process called The Decadal Survey in which the National Research Council (National Academies of Science and Engineering) rank measurement concepts in terms of priority. A new Earth Science Decadal Survey actually came out fairly recently and re-validated the critical role of GRACE-like missions. It seems like not that many years ago Earth was the only planetary body in our solar system, other than comets, that we knew had large amounts of water. Now water seems to be everywhere in the solar system. What do you think the implications of finding abundant amounts of water in the solar system are for exploration, colonization, mining, and other activities? And finally, what do you think the implications of finding abundant water are for finding life elsewhere in our solar system and the Milky Way Galaxy? That’s a great question. For decades (or longer) we thought Mars was the best candidate for life due to the presence of water and other similarities to the Earth. In fact the mantra of the Mars Exploration Program initially was “Follow the Water” which has evolved into evaluating ancient habitability and then searching for organics and other building blocks of life as we learn more about Mars. Even if there is no life there, the abundance of water on Mars (and in some locations on the Moon) can be of considerable use to astronauts and potential colonists. But remarkably in the past decade we have learned more about the spectacular amount of liquid water in the distant outer solar system, especially beneath the icy shells of Europa (moon of Jupiter) and Enceladus (moon of Saturn). The presence of this water along with likely thermal hotspots on the floor of these oceans have led many scientists to believe that these ocean worlds could be excellent candidates for harboring life. NASA and JPL have a mission in development called Europa Clipper that will explore Europa in great detail launching in the early 2020’s, and several other concepts in work for Enceladus and other such worlds.